4-finger designed levers fit most people. Fit for 2.2cm diameter handlebar. Smooth enough to make you feel more comfortable. Suitable for mountain bike, road bike, Fixed Gear Bike, MTB, BMX etc. 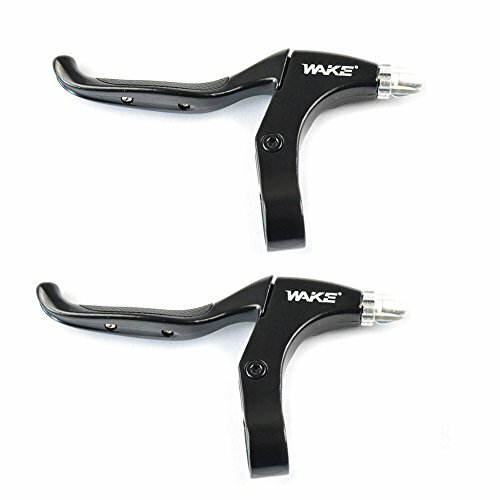 Fit for 2.2cm diameter handlebar, suitable for mountain bike, road bike, Fixed Gear Bike, MTB, BMX etc. Anti-slip design.1 pair of bike brake levers included. Made of aluminium alloy, high strength and durable. Smooth enough to make you feel more comfortable.Easy to install,suitable for most kinds of bicycles. If you have any questions about this product by FOMTOR, contact us by completing and submitting the form below. If you are looking for a specif part number, please include it with your message.